I realise I’ve been very quiet on the blogging front recently, largely because I’ve been beavering away on a novel – more on that in the coming months. 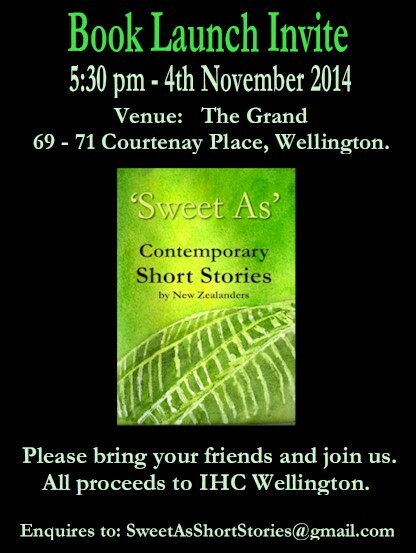 But another thing I did recently was to contribute a short story to a great initiative – ‘Sweet As: Contemporary Short Stories by New Zealanders’, an anthology to raise funds for the IHC. My late sister Joanne was intellectually disabled (she had Sanfilippo Syndrome) so I had a bit to do with the IHC while growing up and I’m pleased to be able to do something to support them. Thanks and congratulations to editors Wendy Moore and Blair Polly for making this happen.